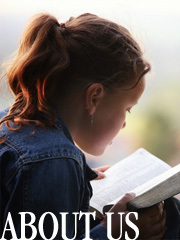 RCS seeks to mentor the next generation by leading students into a growing relationship with Jesus Christ. This is accomplished by creating an educational environment of excellence where students can grow academically, spiritually, emotionally and physically. 1. Biblical Worldview: the basis for all school curriculums will be the Bible, which will be integrated into the activities in the classroom, stage, chapel, and athletic courts/fields. The Bible is God's inspired Word for humankind and is our primary source for wisdom, correction, knowledge, and training in righteousness. It equips students to live as God desires (2 Tim. 3:16-17). 2. Academic Excellence: each student will experience a rigorous academic atmosphere in which they will be encouraged and enabled to meet their highest potential. Luke 2:52 says that Jesus grew in wisdom and stature and in favor with God and man. At RCS, we seek the same for each of our students. A student's education must be well-rounded and address the intellectual, physical, social, and spiritual aspects of life. It must be both Christian and academic. 3. Partnership with Parents: we will establish a partnership of mutual respect and effort between teachers and parents that provides an optimal learning environment for students. Children are a gift from God (John 1:12-13) and created in God's image (Gen. 1:26). The family was instituted by God (Gen. 1:27; Matt. 19:1-12; Mark 10:1-12) for raising children to become responsible adults who promote the Christian values that will preserve and promote righteousness in our nation. 4. Caring Christian Community: RCS is a close-knit community in which teachers take the initiative to care for the academic, the spiritual, and even the personal aspects of their students' lives. We are a ministry of New Life Church and function as an extension of the local churches our families choose to attend. Our desire is to fulfill the Great Commission of Jesus (Matt. 28:18-20) and to help the church to guide children to submit to God's will in faithful obedience (Prov. 22:6). The Classroom: we provide academic excellence through teachers and curriculum that enhance both the intellectual and the spiritual development of each student. The Gym/Field: we emphasize the importance of regular exercise for all students through our physical education program. The coaches of our athletic teams seek to develop sportsmanship, teamwork, and discipline in each of our athletes. The Stage: we encourage participation in band and drama for students who enjoy the arts. The Chapel: weekly chapel services are conducted for both the elementary and middle school. Students are encouraged to participate and lead chapel services as part of their spiritual growth.